Merle Haggard, dead at 79, embodied the complexities of angry white America. Merle Haggard died April 5, on his 79th birthday. 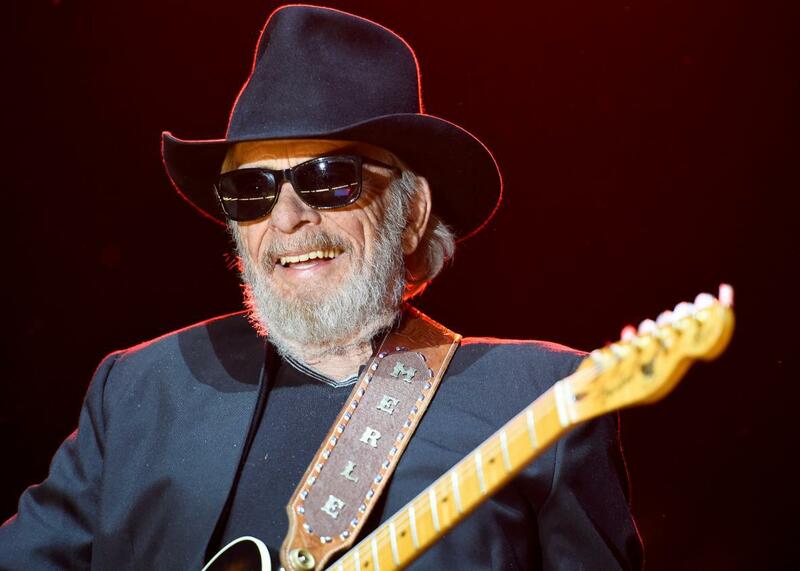 “I still love to do it, I just can’t do it as long as I used to!” Merle Haggard hollered out a decade ago, walking off the stage of a Kansas City casino just under an hour into his set. The shock wasn’t that he was cutting out early. He’d been performing for 40-odd years, by that point, and his own weariness had been a key theme of his songs since 1979’s majestic moper “Footlights.” No, the jolt was that the famously cranky Hag saw fit to apologize. That’s the abiding truth of this singular American singer, songwriter, bandleader, and provocateur. He’ll always surprise you, even now, after his death on Tuesday, on his 79th birthday. As a singer, he was country music’s Sinatra, restrained yet penetrating, always in full command of each note’s emotional resonance. As a songwriter, he has no true point of comparison. He was singular, a terse and potent poet of good times and bad ones, misery and gin, prison and grievances, love and reconciliation. No song of his contains all that he was, just as no tribute this week does, either. No wonder he felt worn down on that stage—containing multitudes is hard work. There are reasons Haggard has never achieved full Johnny Cash/Willie Nelson culturewide icon treatment, despite the universal appeal of hits like “Mama Tried” and “I Think I’ll Just Stay Here and Drink.” Spin “Footlights” and marvel at his gifts and his cussedness. He opens with “I live the kind of life most men only dream of,” quite a claim for the author of “Workin’ Man Blues,” but it’s no boast, just a stone fact. Then he crabs about that life for four minutes: What chart-topper outside of Kanye and John Lennon has so laid bare the lonely grind of celebrity? The music behind him, meanwhile, is a stately whisper, smooth and rich as good bourbon. It’s also much too subtle to cross over. Even way back in ’79 pop radio needed cocktails, not the straight stuff. Another line, though, seemed to embarrass Haggard by the 2000s. His laundry list of things he misses about the old days peaks with “when a girl could still cook and still would.” Onstage in recent years, he changed those last words to “cook and chop wood,” a non-sequitur but also a clue. The splenetic nostalgia of some of his biggest hits skeeved him a little, too. Yes, he felt that the country was going to hell, and many of his fans do, too, but it has been for 50 years now, and some of the specifics don’t sting like they used to. That ambivalence is one of the richest qualities of Haggard and his art. (If you’re new to that art, check out the Spotify playlist Haggard biographer David Cantwell put together for Slate in 2013. If you’re steeped in it already, check out Cantwell’s book The Running Kind, the best full-length study of Haggard available.) The man behind “Okie From Muskogee” wrote the pro-HRC song “Hillary” in ’07. Deep in the Bush years, he assailed the war in Iraq in “America First” but in the language of concerned patriotism. Around the time of his anti–anti-Vietnam anthem “The Fightin’ Side of Me,” in the late ’60s, he wrote a pained interracial love song (“Irma Jackson”) that Capitol didn’t dare release till ’72. Haggard wasn’t contradictory. Instead, he was complicated, like any of us. His dueling fightin’ and tender sides embody the complexities of white working America that the media too often misses—and that, on occasion, a Reagan can master. One dumb sexist line doesn’t epitomize “Are the Good Times Really Over?” just as one sucker-punching stooge doesn’t make every Trump-curious protest voter a racist. The first time I saw Merle Haggard on stage, he neglected to play “Okie From Muskogee.” Instead, he and his Strangers sawed through a clutch of Bob Wills tunes, a pleasure I’ll never forget, and nobody seemed to miss it. The second time, though, at that Kansas City casino, he did play it. But beforehand he did what he always did: Surprise everyone. I can’t recall his exact words, so I’ll paraphrase. He told us that he didn’t himself agree with everything in this song and that he didn’t always want to play itbut that he would never turn down the serviceman in the crowd who had requested it. I sang along, hearty and proud, not agreeing with any of it, either, but still shaken by its truth.